Jewellery Theatre – Russian jewelry house that exists in the Russian market since 1998. The company was founded by two artist-jewelers Irina Dorofeyeva and Maxim Voznesensky. Jewellery Theatre specializes in the manufacture and sale of artistic jewelry. The unusual name of the company is based on the idea of ​​using all possible means of expression, characteristic for several kinds of art, either in the creation of jewelry, or in the process of demonstrating, presentation. Jewellery Theatre means decorations, lights, music, staging, acting. Changing the lighting, animated image on the back side help to enhance the beauty of precious actors of Jewellery Theatre. In the role of the actors, of course – the jewelry itself. One of the first jewelers to combine an Easter egg with jewellery was Carl Faberge. His name is now associated with the brilliant art of decorative Easter eggs, the so-called “Easter surprise” – giftware with a hidden secret. It is assumed that the idea of creating them belonged to his younger brother Agafon Faberge, extraordinarily gifted artist who also had exceptional design capabilities. 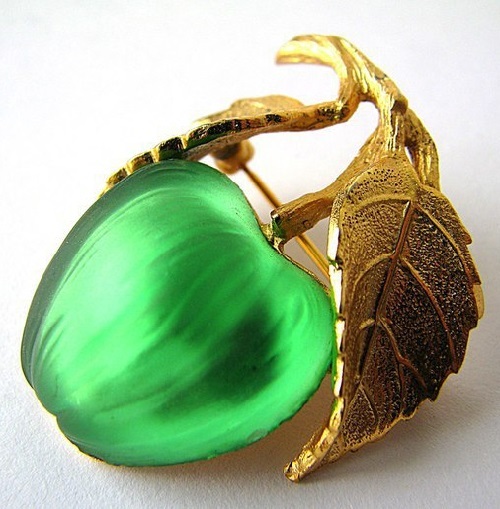 Carl Faberge was able to win the hearts of customers, pushing all competitors. His success is in the complexity of the design, originality and impeccable execution of these precious toys. Total from 1885 to 1917 were produced 56 “Easter surprises” on the orders of the imperial family. These were the gifts of Alexander III and Nicholas II to Empresses Maria Feodorovna and Alexandra Feodorovna. Of all the jewels bestowed by sea, the most expensive is probably the pearl. According to ancient scientific data, pearls are solidified tears of people of divine origin. In the time of Homer, the pearl was thought to be tears of the sea goddess – Nereid, and when they stopped believing in Nereid, pearl was seen as the tears of angels. 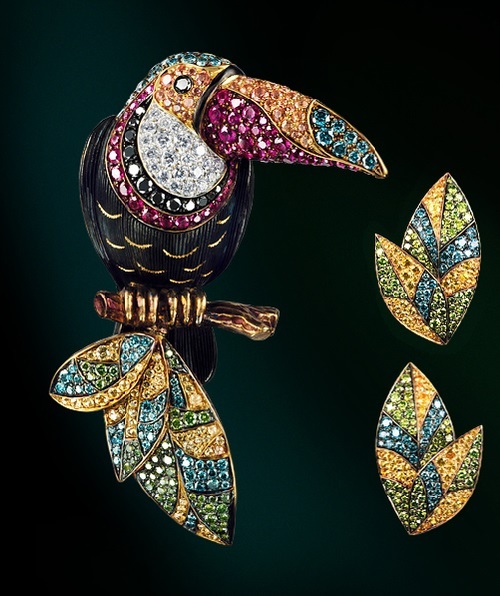 Italian jewelry designer Mario Buzzanca Gioielli was destined to become a jeweler. He was born into the family of jewelry masters in the Italian city of Palermo. Since childhood, surrounded by the glitter of precious metal and stones, the boy was interested in the process of making jewelry. Love for pearl led him to Japan, where he studied gemstones and craftsmanship. The company “Napier” began its history in 1875 in Attleboro – a city in Bristol County, Massachusetts, United States. Initially, they released men’s pocket watch made of silver under the name “Whitney and Rice”. Already in 1882 the owners renamed the company to “Carpenter and Bliss”, shifting production to the state of Connecticut and in the following decade their business was growing very fast. In 1922 the president of the company became James Napier, who launched jewellery under the brand of his own name – Napier. 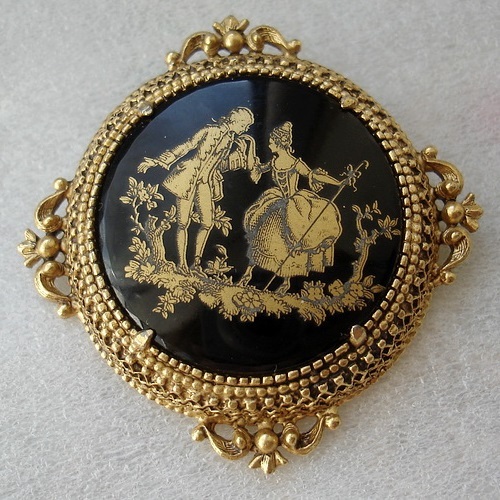 Unlike many jewelry companies of the time, Napier did not stop any work during the First and the Second World War. Instead, the company wisely reconstructed the manufacture, having started making orders and medals. Orchid is the symbol of sophistication, wisdom and gentility. Orchid often symbolizes love, beauty and harmony, as well as family comfort. White orchid symbolizes pure love, variegated – longing. Pink refined orchid petals mean pure affection. 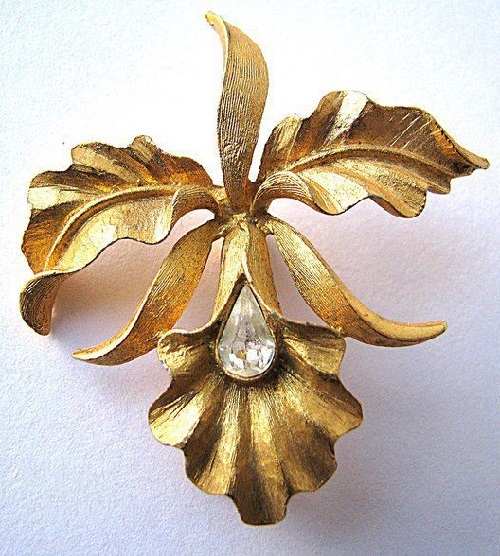 Orchid in a bouquet – a symbol of love, refinement and large families … Mamselle Costume jewelry was produced from a special jewelry alloy with a small portion of gold. 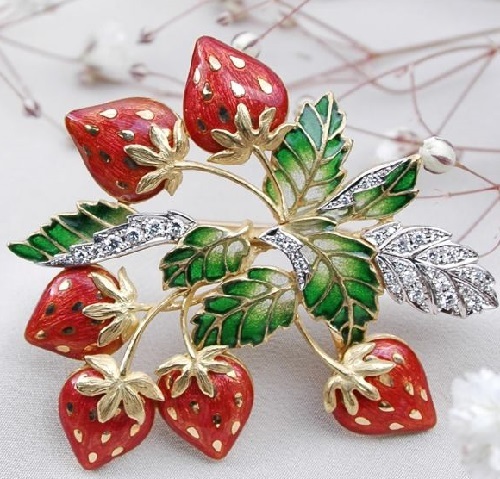 It was often used enamel, but also almost all well-known in the manufacture of jewelry decorative techniques. On the reverse side of genuine jewelry is always a stigma “Mamselle”. Fabulous Florenza vintage costume jewellery – decorations of stunning beauty by the genius of Dan Kasoff. He founded company Dan Kasoff Inc. in the early 40s in New York. 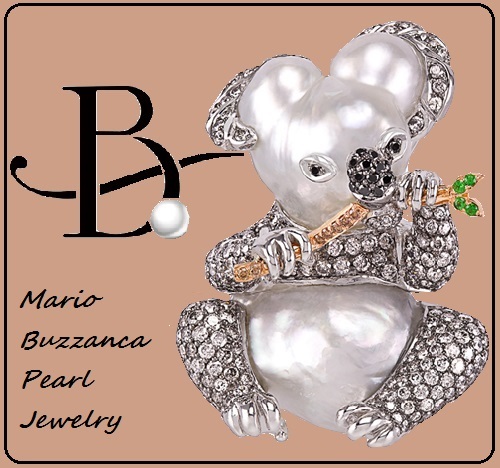 In 1945, he launched branded jewelry, to which he gave the name of his mother – Florenza. Mostly made in Victorian style, magnificent Florenza jewels dazzle, have a truly mystical beauty. Each piece of Florenza is always absolutely rare collectible. Florenza always used only the finest stones from Germany, Austria and the East, with many stones which have been made specially for the brand. In all jewelry was used only a 24kt gold or gold alloys patented by them, bearing the sonorous name – “Florenza Gold”, “French Gold” and “French Rose”. Jewellery collection of precious metals and stones “In the Garden” by Japanese master Kunio Nakajima of more than 80 works of exceptional beauty – dragonflies, berries, mushrooms, flowers – the designer presented in person at the Museum of Applied Arts in Moscow three years ago. In the middle of the Taisho era (1918-1920), his grandfather began working as an apprentice in the workshop of Nakajima. Born into a family jeweler, in his childhood, Kunio Nakajima played in the studio and therefore had become well acquainted with the jewellery art. Several people were sitting cross-legged behind a desk and blowing glass … These memories forever remained in the heart of Japanese jeweler Kunio Nakajima. For a boy who grew up in such an environment, it was natural to love manual work when hands and professional tools could create anything.